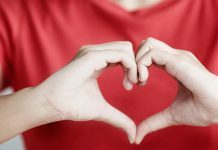 Home Heart Diseases Maintain A Healthy Lifestyle To Prevent Arteriosclerosis! Maintain A Healthy Lifestyle To Prevent Arteriosclerosis! The arteries become harder as people get older, specifically the arteries in heart, kidneys, and brain. These stiffer arteries, called arteriosclerosis, cause the heart and kidneys to function even harder. Cholesterol is a substance that is produced by the body. It is an essential substance for the cell membrane formation, hormones, and other functions. On the other hand, if the cholesterol level is high, it results in hypercholesterolemia. In cholesterol, LDL (low density lipoprotein) cholesterol is harmful cholesterol and HDL (high density lipoprotein) cholesterol is beneficial. If a person has high LDL cholesterol, it leads to heart disease. 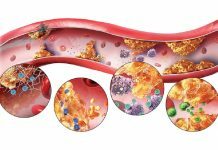 Elevated cholesterol and triglycerides in the blood results in arteriosclerosis. These hardening of the arteries leads in less blood flow and oxygen for the cells and tissues. When the arteriosclerosis develops near to the heart, then there is a risk of having heart attack. 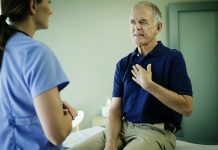 When the arteriosclerosis develops near the head and neck, then there is a risk of having stroke. Arteriosclerosis also leads to high blood pressure. Lack of physical exercise, excessive white sugar intake, refined foods, and high fat diet that is rich in cholesterol results in arteriosclerosis. Also other diseases like obesity, high blood pressure, and diabetes leads to arteriosclerosis. Emotional stress can also harden the arteries, leading to heart attack. 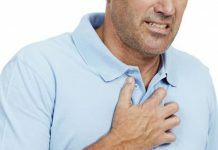 Is It Possible To Prevent Arteriosclerosis? Lifestyle changes can help to prevent the arteriosclerosis or it slows the progression of this disease. Quit smoking. If you have a habit of smoking, then smoking cessation helps to prevent arteriosclerosis because smoking damages the arteries. You can also reduce the risk of complications by quitting smoking. Healthy foods. Healthy eating habits that contain low saturated fat, cholesterol, and sodium helps to maintain your weight, blood pressure, and cholesterol. Physical exercise. Physical activity improves circulation of the blood and promotion of developing new blood vessels. Stress Reduction. Reduce your stress as much as possible. Manage your stress by following healthy techniques such as deep breathing and muscle relaxation. Apart from these, there are some home remedies that helps to control arteriosclerosis. Lemon peel is one of the most effective home remedies for arteriosclerosis. It strengthens the arterial system. Honey is also thought to be beneficial in the treatment of arteriosclerosis. Add one spoon of honey to the glass of water and add lemon juice to it and take this mixture before going to bed. Onions and garlic have preventive effect in the development of arteriosclerosis as per the recent investigations. Vegetable juices such as carrot juice, beet juice, and spinach juice are helpful in the treatment of arteriosclerosis if taken once daily. Parsley is also considered to be effective for arteriosclerosis. It has the properties that help to maintain the blood vessels, specifically capillaries and arterial system in a healthy condition. Having regular checkups with your doctor, watching for cholesterol levels, and keeping your heart healthy helps you to maintain a healthy lifestyle. Previous articleIdentify And Treat The Pancreatic Cancer Before It Reaches The Last Stages! Next articleCertain Toxic Foods Can Lead To Botulism!